Complete these campaign challenges to unlock new features in Battlefield 1. 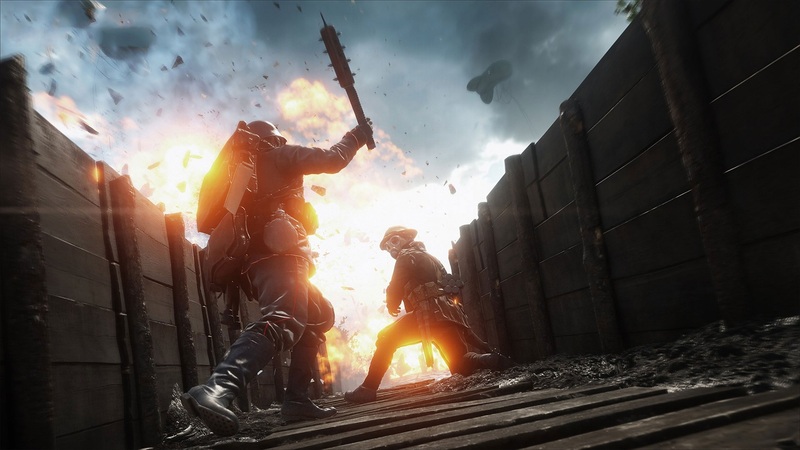 Battlefield 1 includes a new series of in-game achievements called Codex Entries, which unlock historical information logs about World War I and other features. Codex Entries are rewarded for completing challenges using certain weapons, vehicles, or maneuvers in either the single player or multiplayer game modes. 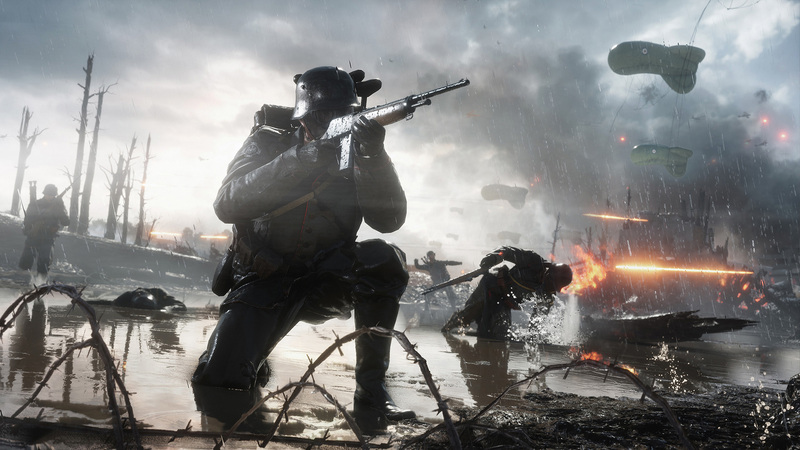 This guide will explain the requirements for unlocking all 53 War Story Codex Entries in the single player campaign of Battlefield 1. 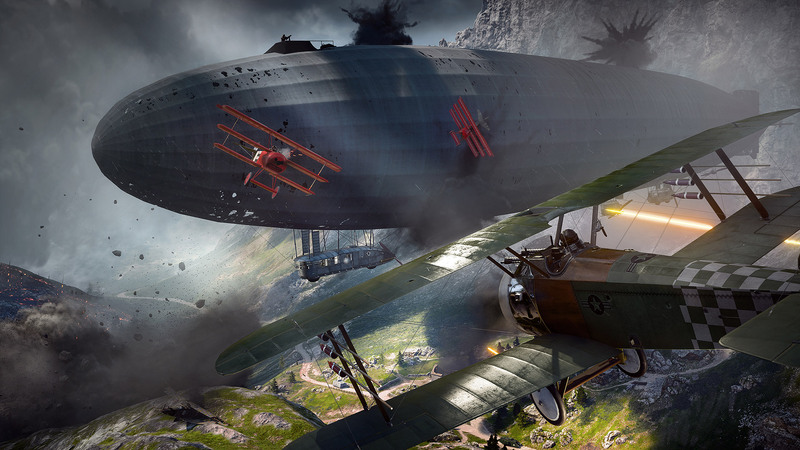 The single player campaign is divided into a series of War Story missions, which are further divided into a subset of chapters. Each Codex Entry in this list must be completed within its designated campaign chapter. For this guide, we’ve organized the Codex Entries by War Story name and chapter to help keep you on track and allow you to easily complete each challenge. Observation Balloons - Defeat 5 enemies while on foot in Over the Top. German Anti-Tank Tactics - Destroy all field guns in Over the Top. Tank Shock - Collect all Field Manuals in Over the Top. Forest Combat - Get through the forest without any melee kills in Fog of War. Guiding Bess - Get through the forest without being detected in Fog of War. Gone Chemical - Collect all Field Manuals in Fog of War. Stealing Tanks - Retrieve all engine components undetected in Breakdown. Tank Hunters - Retrieve the first engine component in Breakdown. Aircraft Support - Collect all Field Manuals in Breakdown. Beutepanzers - Destroy one of the captured Mark V tanks in Steel on Steel. Bourlon Wood - Don’t let the tank get damaged before clearing the village in Steel on Steel. There’s Always a First - Collect all Field Manuals in Steel on Steel. Towards Cambrai - Complete “Through Mud and Blood”. To Be Ace - Finish the target practice in Test Flight. Dicta Boelcke - Don’t lose the trail during the chase in Test Flight. Strategic Bombing - Destroy the fort in Total War. Bloody April - Have at least four bombers survive a bombing run in Total War. No Man’s Land - Reach No Man’s Land undetected in Fall from Grace. Booby Traps - Use tripwire bombs to kill two enemies in Fall from Grace. A War in France - Collect all Field Manuals in Fall from Grace. Airborne Cannons - Destroy 10 aircraft within 30 seconds using the stationary weapon in Forte et Fidele. Gotha Raids on London - Take down the bombers in Forte et Fidele. Jousting with Dragons - Collect the Field Manuaals in Forte et Fidele. Dawn of Dogfights - Complete “Friends in High Places”. The Daring Ones - Join the fight as an Arditi Elite Troop in O La Vittoria. Farina Armor - Defeat five enemies with grenades in O La Vittoria. Coming Together - Collect all Field Manuals in O La Vittoria. Where Eagles Dare - Defeat 10 enemies with your sidearm in O Tutti Accoppati. Beyond Belief - Witness the explosion of the mountainside in O Tutti Accoppati. Alpine War - Collect all Field Manuals in O Tutti Accoppati. Torpedo Exploit - Get 10 headshot kills in Cape Helles. Big Guns - Call in the offshore barrage in Cape Helles. Battery Beyond - Collect all Field Manuals in Cape Helles. Drip Gun - Defeat 10 enemies with a sidearm in The Runner. Geology - Defeat five enemies with rifle grenades in The Runner. Trench Runners - Collect all Field Manuals in The Runner. Sedd El Bahr - Defeat 10 enemies with melee attacks in Be Safe. River Clyde - Defeat five enemies with grenades in Be Safe. Gallipoli Myths - Collect all Field Manuals in Be Safe. The Dardanelles - Complete “The Runner”. The Hejaz Railway - Scout the crash site in Hidden in Plain Sight. Celebrities - Collect all Field Manuals in Hidden in Plain Sight. Tanks in the Desert - Kill one of the officers by using a tank in Young Men’s Work. E. Lawrence - Kill one of the officers with a melee attack in Young Men’s Work. Gertrude Bell - Kill one of the officers by using a bolt-action rifle in Young Men’s Work. Women Rise - Collect all Field Manuals in Young Men’s Work. Desert Cars - Destroy the three vehicles while undetected in Hear the Desert. Planes Above the Sand - Keep at least two field guns operational in Hear the Desert. Guerilla Warfare - Collect all Field Manuals in Hear the Desert. Arab Revolt - Complete “Nothing is Written”. Some of these Codex Entries require you to collect all of the Field Manuals in each chapter of the campaign. Head over to our guide on how to find all Field Manuals in Battlefield 1 to finish your collection and complete these Codex Entries. At my last save point, I left off in a massive open world where I write about video games and make content for the interwebs. For me, video games are all about the strength of the experience. Give me good narratives, unique mechanics, competitive strategy, or at the very least, distract me with cats. 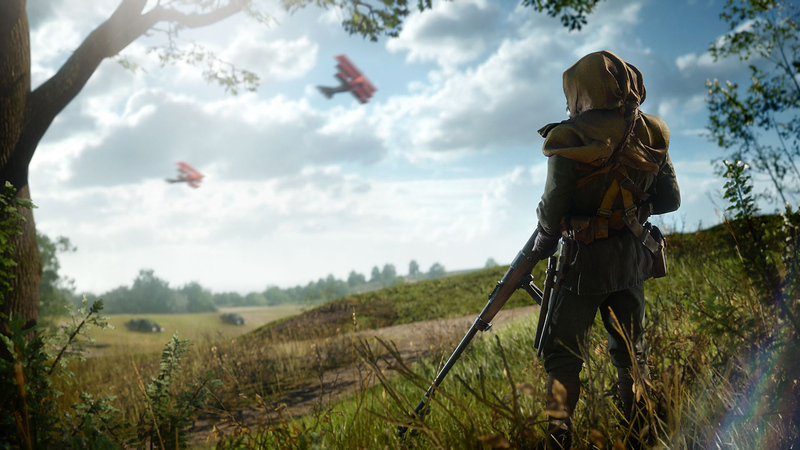 Battlefield 1's They Shall Not Pass DLC is now live alongside some new gameplay changes. The 2nd DLC expansion pack coming to Battlefield 1 will be dubbed In the Name of the Tsar and have a heavy focus on the Russian army and their fight through World War 1. What is set to be the 3rd major expansion pack for Battlefield 1, the Turning Tides DLC promises naval warfare and other new features.